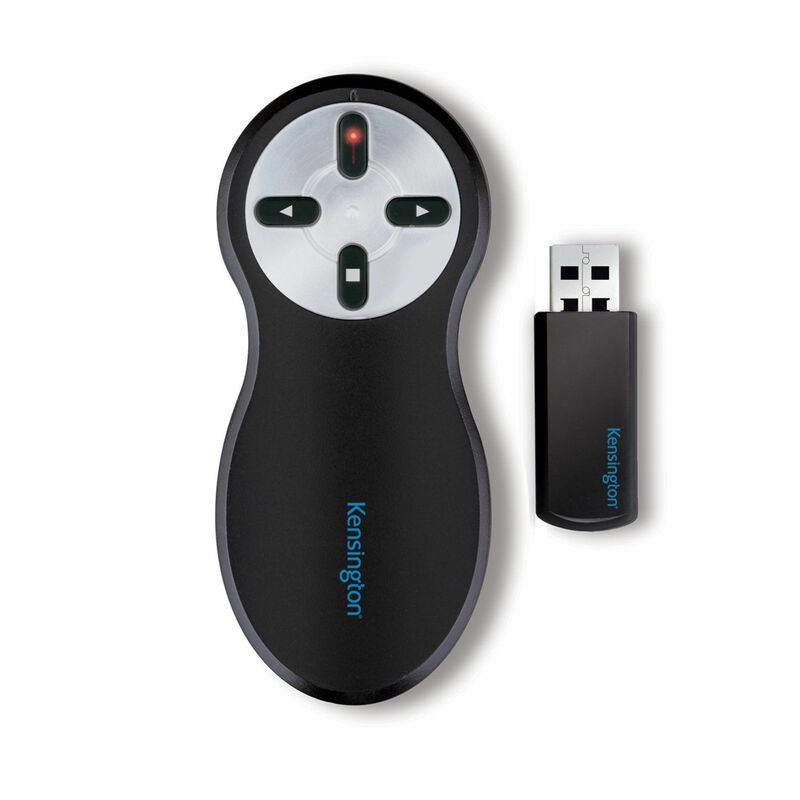 The Kensington Ultimate Presenter with Virtual Pointer is an innovative presentation tool for a variety of environments and screens. 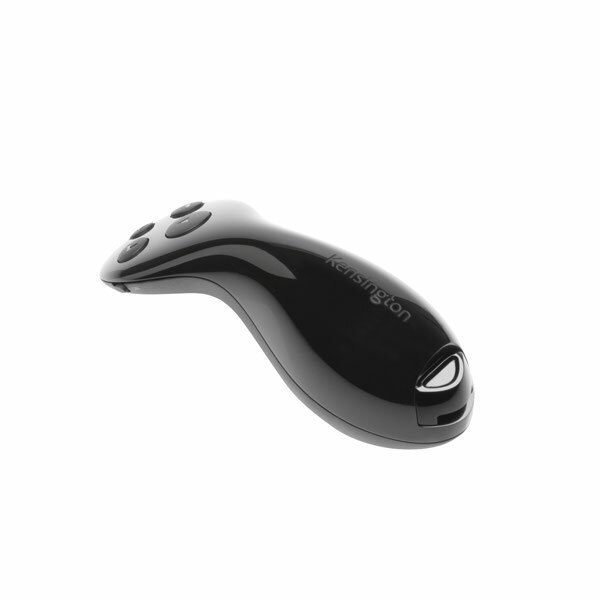 Overcoming shortcomings associated with laser pointers, the Ultimate Presenter is optimised for use in conference rooms with TV displays, online meetings with remote participants and large auditoriums with multiple presentation screens. 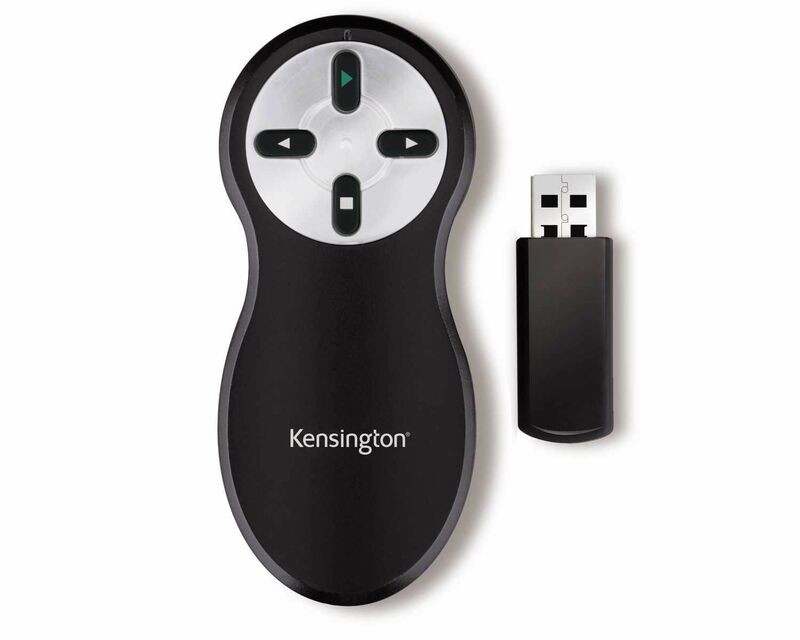 Complemented by versatile storage options and the KensingtonWorks software, the Ultimate Presenter an ideal presentation tool for a digital world and is optimised to work with macOS, Windows, and presentation software including PowerPoint, Keynote, Adobe PDF and Google Slides. Includes a travel pouch to conveniently store your presenter tool when not in use.